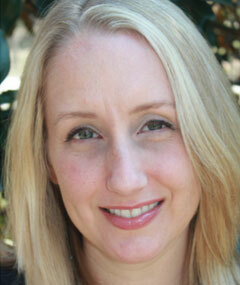 Kari is a leadership professional, specializing in coaching and facilitation. She has spent 25 years in human capital development, as an internal senior leader and as an independent coach and facilitator. Kari works with emerging, mid- and senior leaders to develop leadership skills based on strengths, values and passion. Her experience includes Financial Services, Strategic Consulting Services, Big 4 Accounting, University Executive Development programs, Oil & Gas and Telecommunications. She is an ICF and CTI certified executive coach. Kari specializes in cross-cultural communication and resilience. Kari is passionate about embracing the authenticity of distinct global cultures while also promoting understanding of the communication styles and customs unique to regions throughout global business. Kari has a great deal of experience facilitating and coaching teams and individual leaders throughout EMEA and thoroughly enjoys the challenges and fun of helping others build relationships. As an American ex-pat herself, she is uniquely positioned and experienced in helping to understand, clarify and resolve obvious and subtle cross- cultural communication issues. One of Kari’s top values is humor and she brings purposeful fun to all of her work. She lives in Surrey, UK with her British husband and twin daughters.